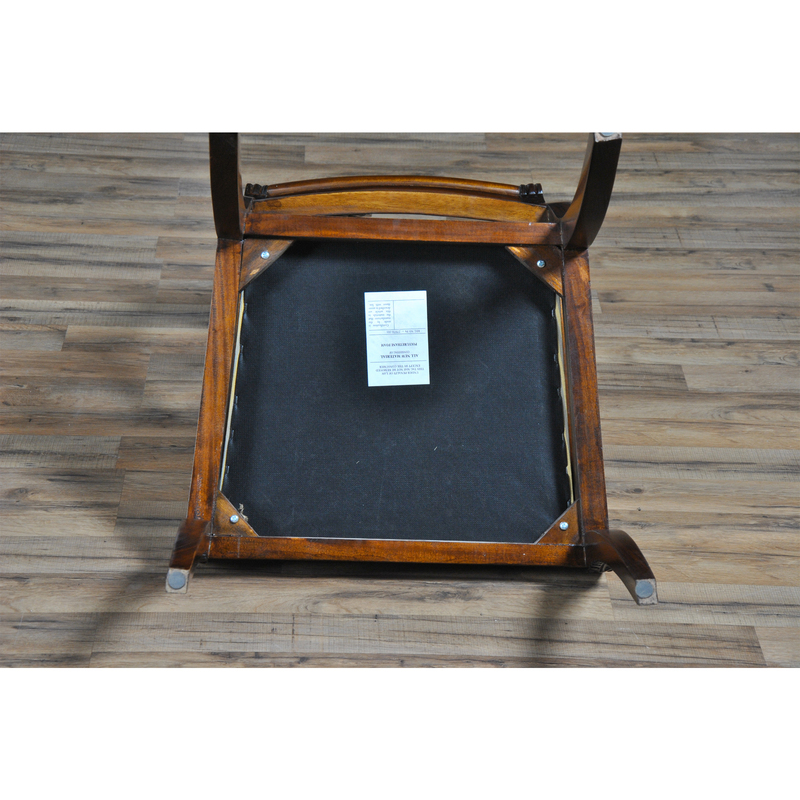 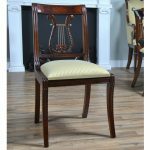 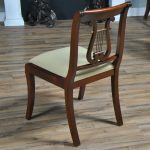 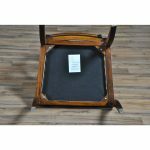 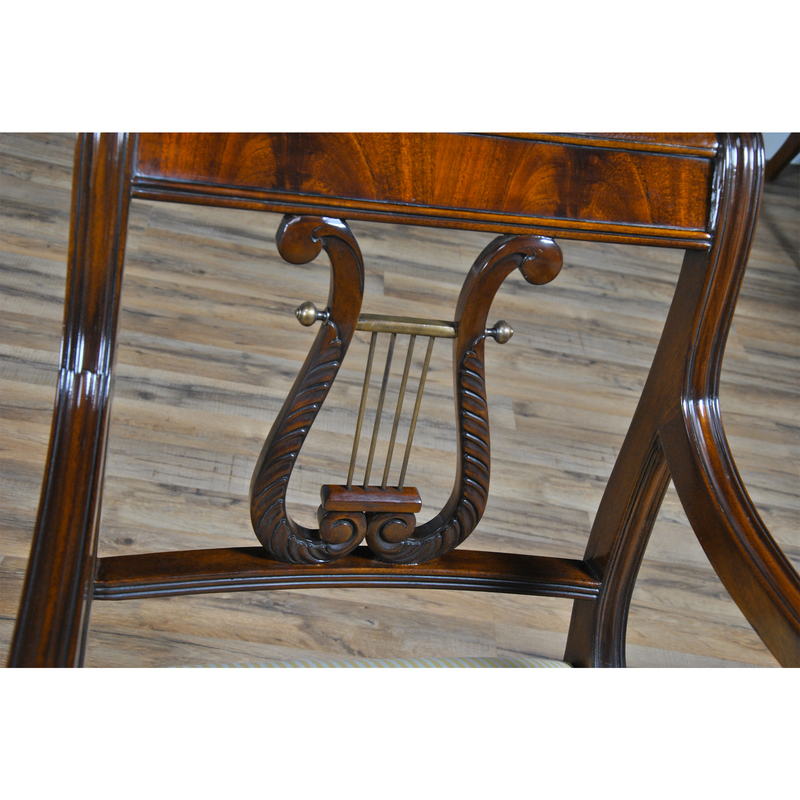 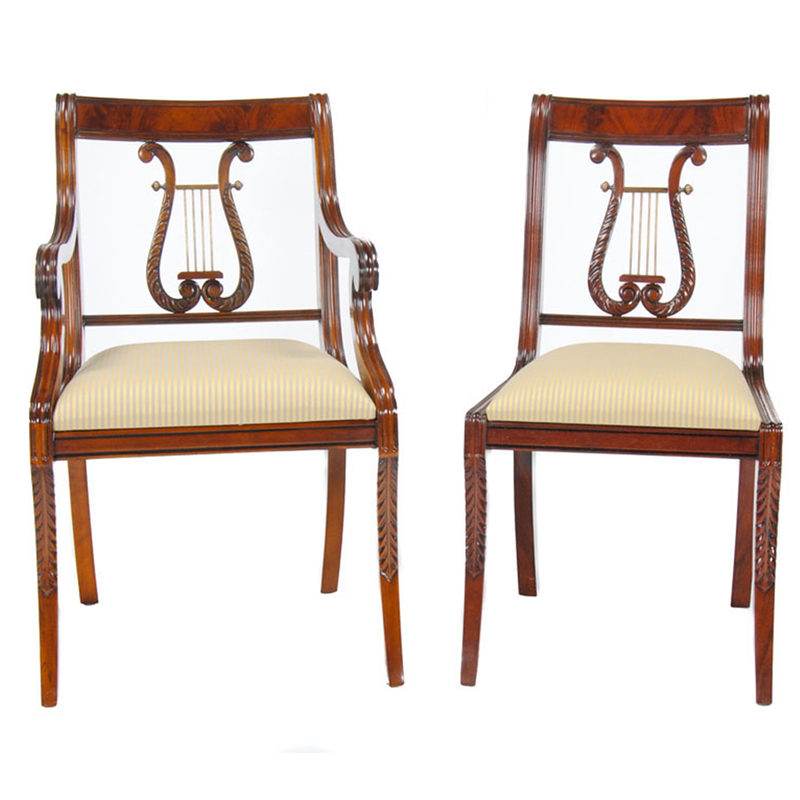 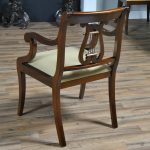 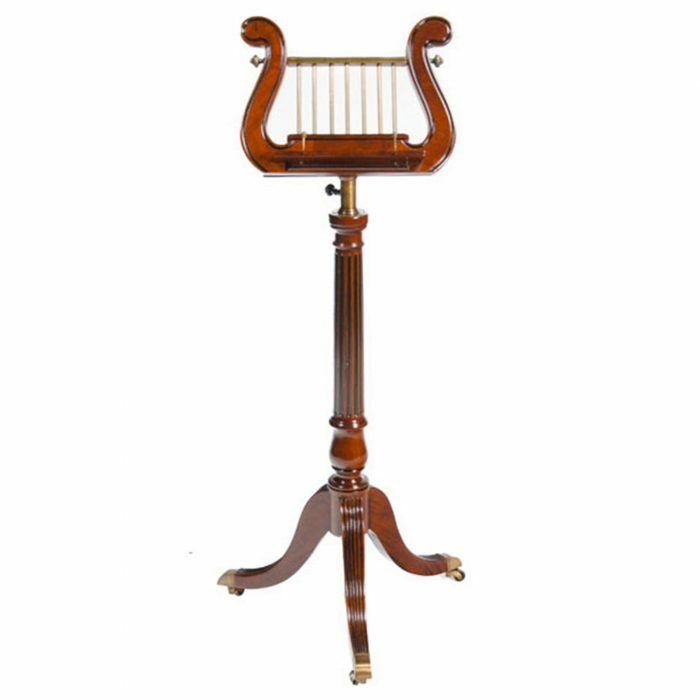 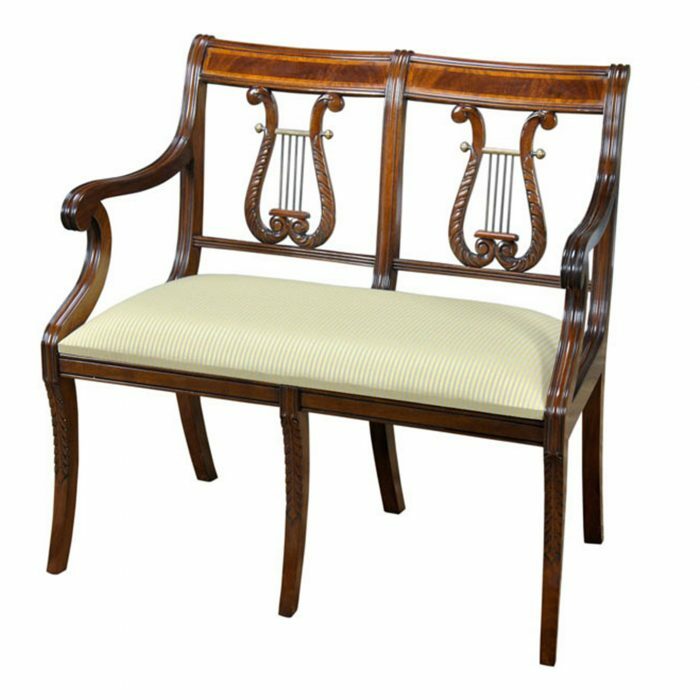 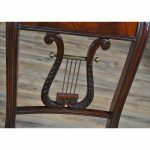 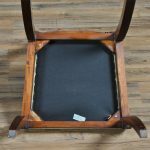 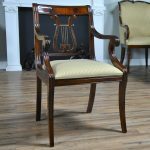 This fine quality set of ten Lyre Chair or Harp Back Chairs by Niagara Furniture consist of 2 arm chairs and eight side chairs. 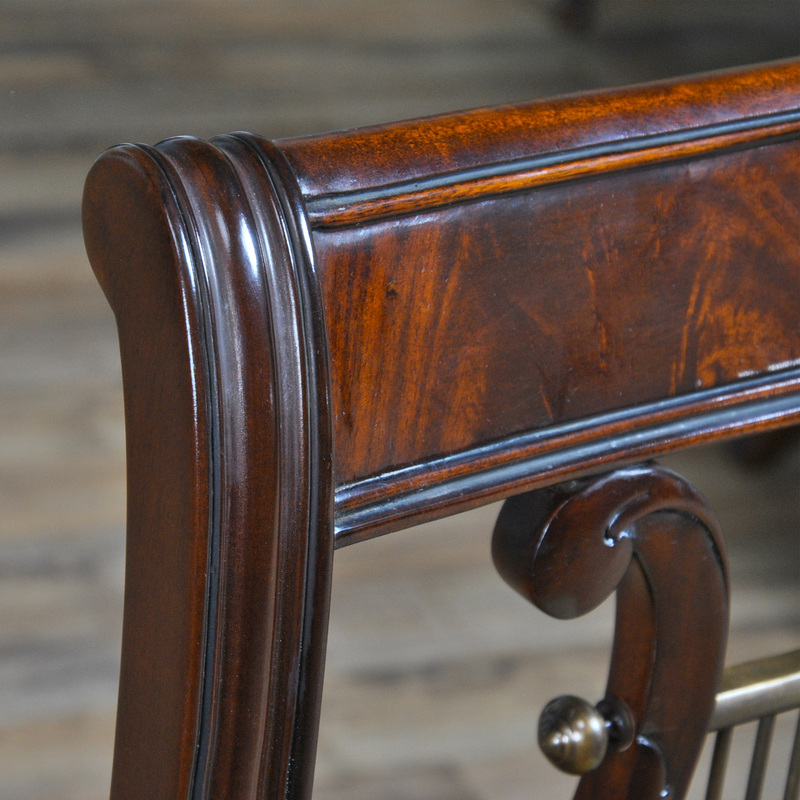 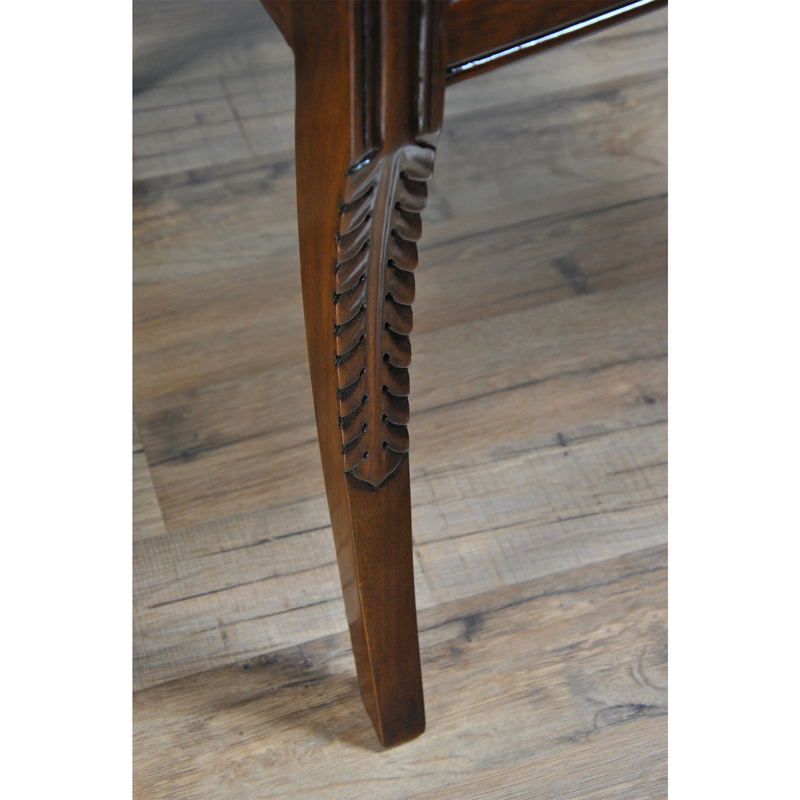 Each chair proudly displays hand carved details throughout it’s entire construction. 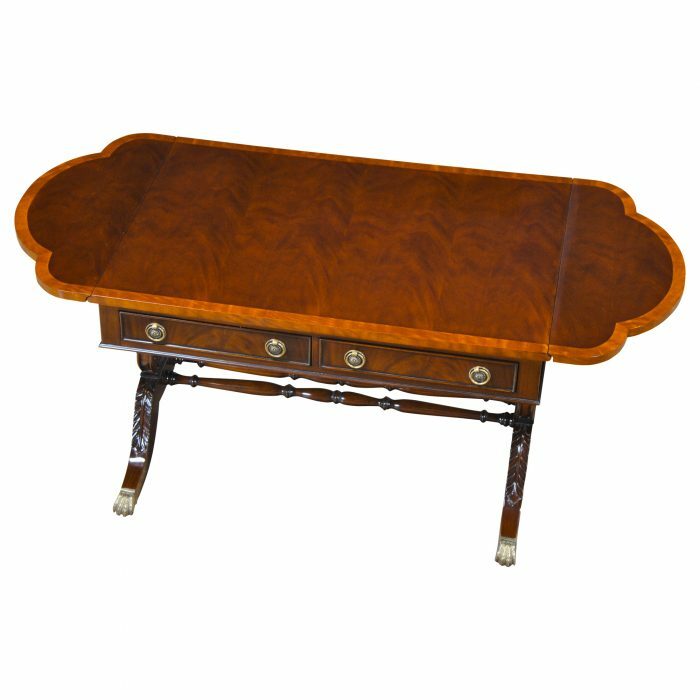 Top rails feature figured mahogany veneers and the center of the back of the chair features hand carved solid mahogany motifs pierced by brass hardware for a unique and high end look. 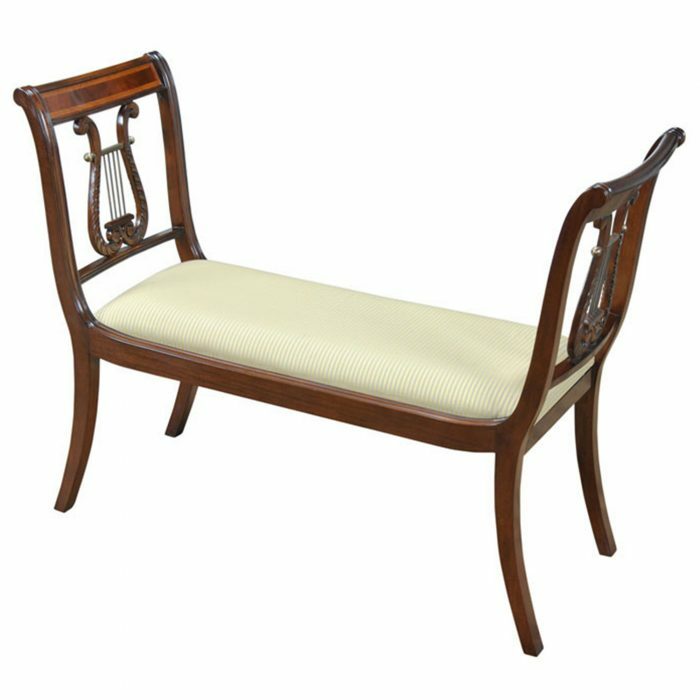 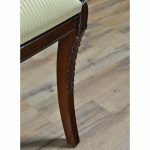 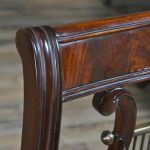 The arm chair makes use of reeding continued down from the side rail to provide added detail and comfort. 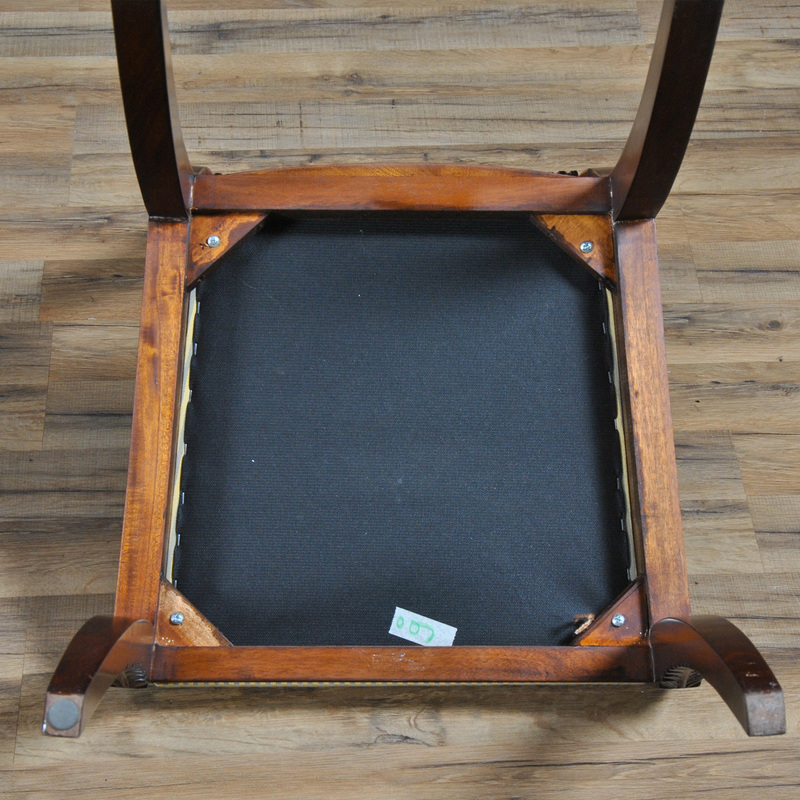 All of these details are displayed over top a drop in seat which is held in place with four screws. 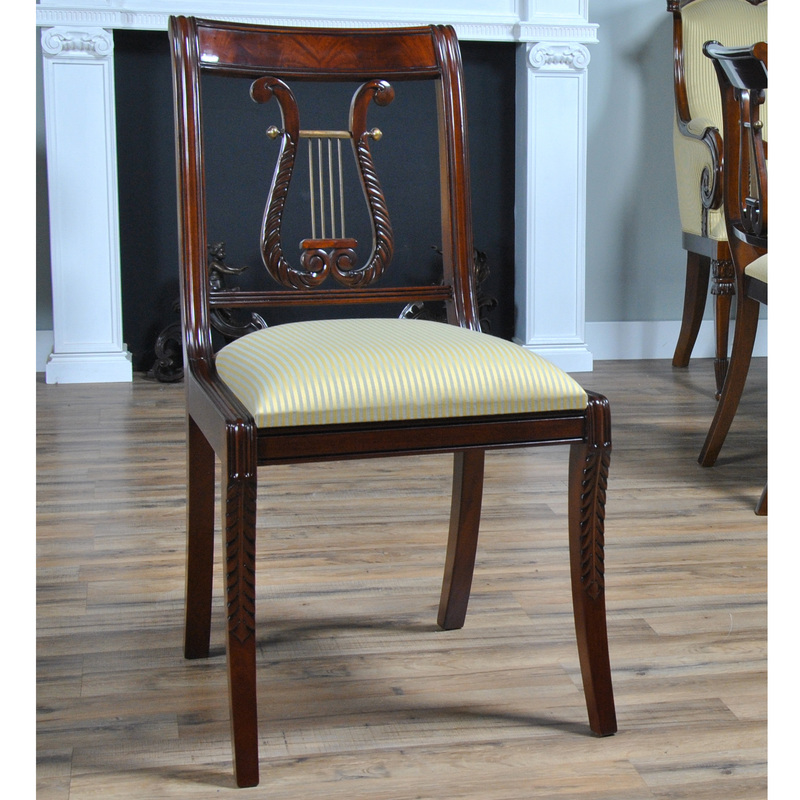 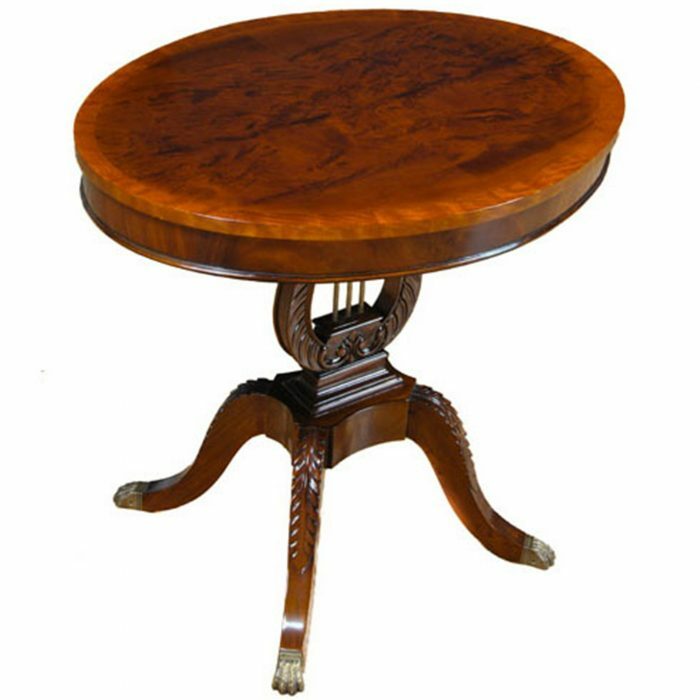 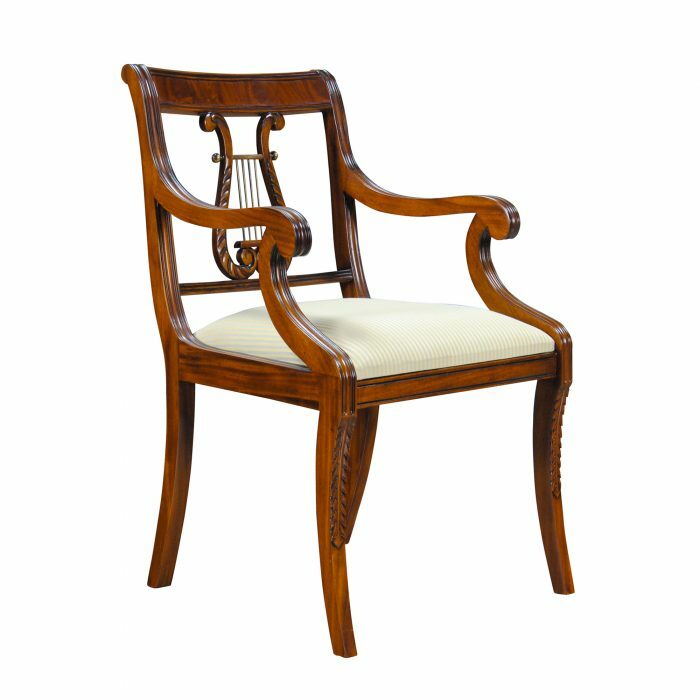 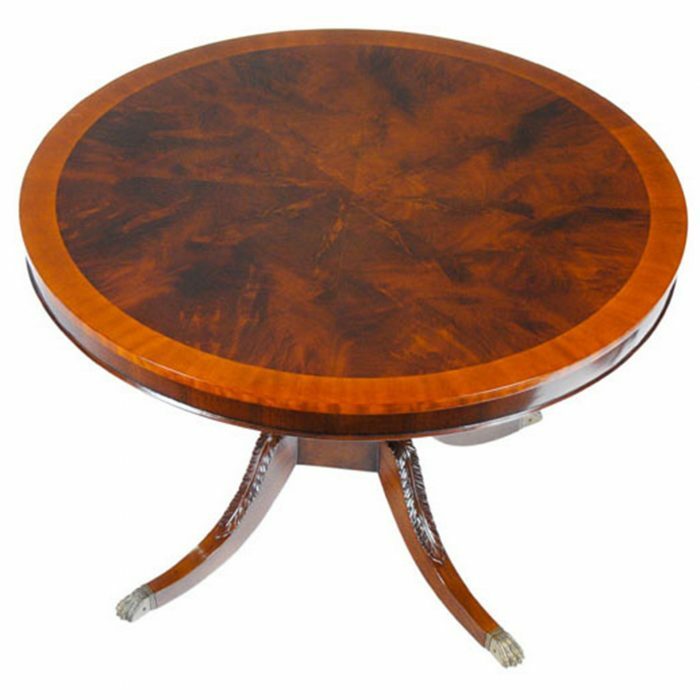 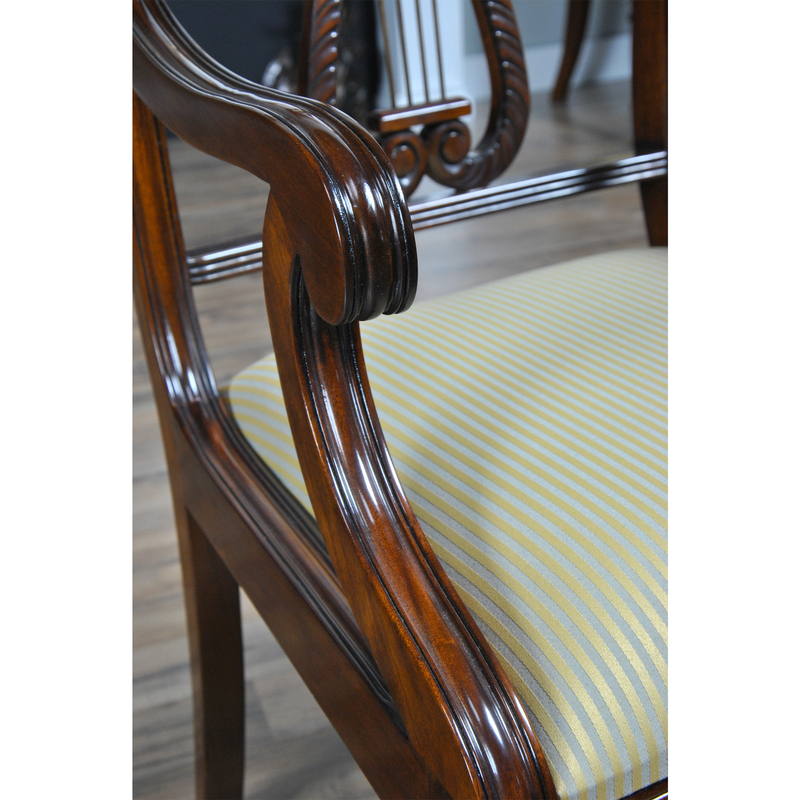 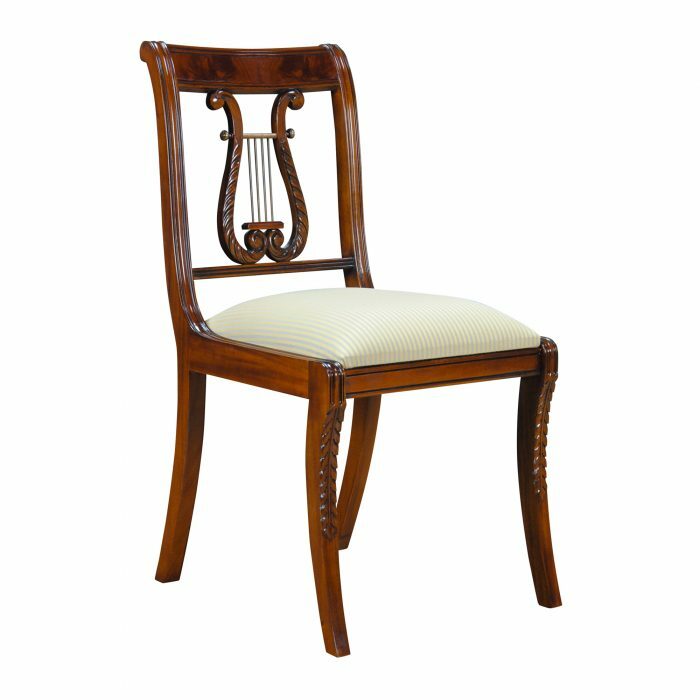 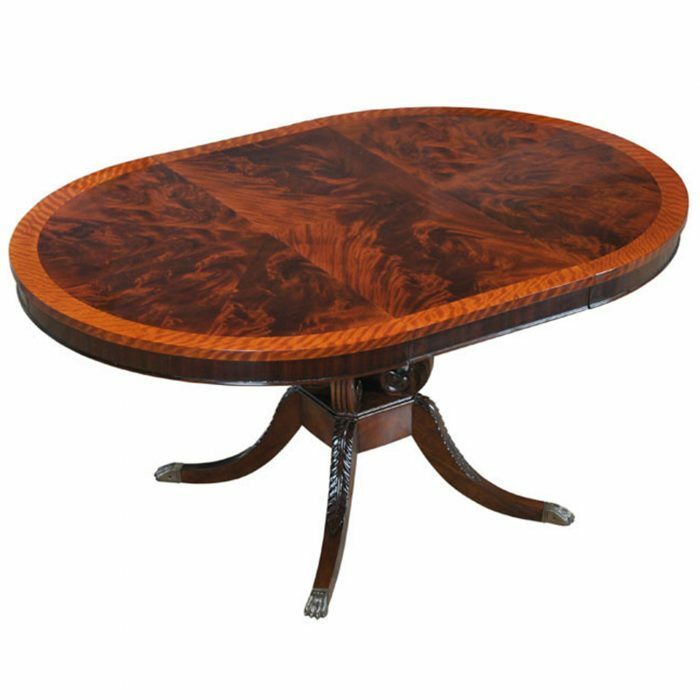 Elegant and sturdy as well theHarp Back Chairs rest on carved and curved legs.